Nearly five years ago, when Haitians elected political newcomer Michel Martelly, a well-known compas singer also known to Haitians as ‘Sweet Micky,’ there was every expectation that a new government, backed by massive amounts of international aid and a renewed commitment to transcend the devastating January 2010 earthquake’s destruction, might finally end Haiti’s cycle of poverty, corruption and dependence. Instead, nearing the sixth anniversary of that earthquake, tens of thousands of Haitians are still displaced after Port-au-Prince, the Haitian capital, was leveled. 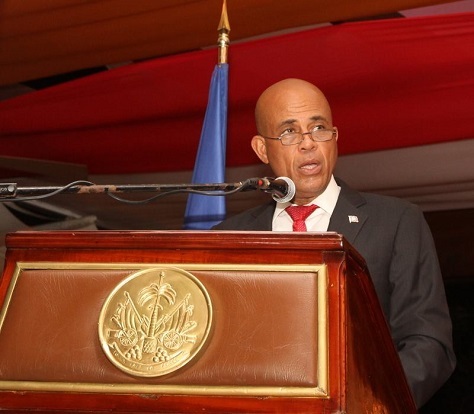 A standoff with Haiti’s congress ultimately delayed 2012 legislative elections for years, forcing Martelly to spend the last year in office governing without a valid legislature in a state of quasi-permanent constitutional crisis. 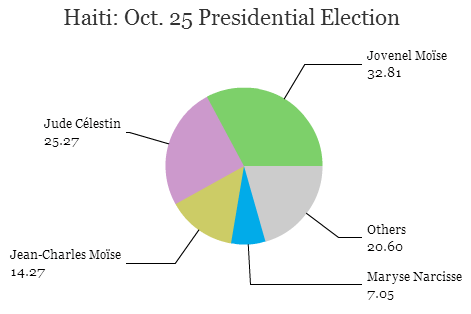 Elections on August 9 and October 25 were supposed to fix that by electing both houses of the Parlement Haïtien (Haitian Parliament) and the October election was set to select Martelly’s successor. The October voting initially seemed to go well, and the first reports gave no signs of massive fraud or political violence, both of which have marred elections in recent years. But as it became clear that the December 27 runoff would feature Martelly’s preferred candidate, Jovenel Moïse, and 2010 contender Jude Célestin, a former minister with close ties to Martelly’s predecessor, René Préval, many of the remaining candidates cried fraud. With protests on the rise, the Haitian government announced last week that it was postponing the December 27 runoff indefinitely pending the report of a five-person electoral commission, hastily appointed by Haitian prime minister Evans Paul last week. Not only were voting procedures inconsistently applied at poorly designed polling stations, the report notes, but the widespread use of observer and political party accreditation led to people voting multiple times and potentially accounts for as much as 60 percent of the 1.5 million votes cast.